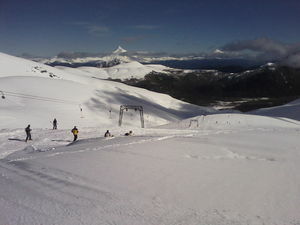 Antillanca in Chile (in the Southern region) is a small ski resort with just 5 ski lifts (1 chair lifts, 4 surface lifts ) but it does boast a respectable 464 metres (1523 feet) of vertical descent. 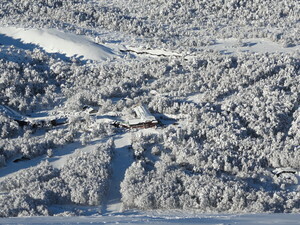 Antillanca has 2471 acres of terrain over 11 pistes with a total length of 35 kilometers (22 miles). 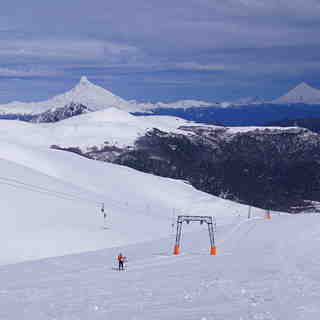 Antillanca is best suited to advanced and intermediate skiers and snowboarders. 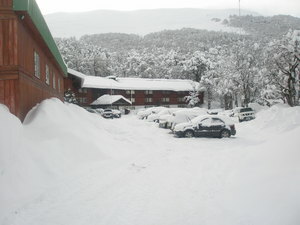 There are 5 kilometers (3.1 miles) of cross country ski trails at Antillanca. 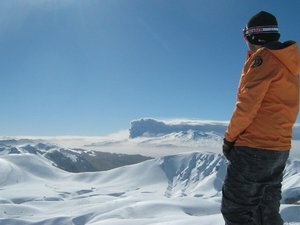 For snowboarders, there is a half pipe. 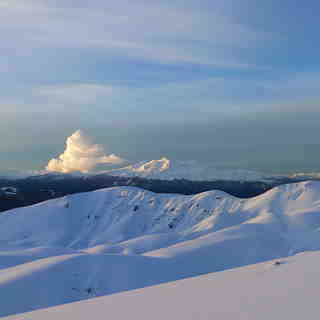 The nearest airport is at Santiago.